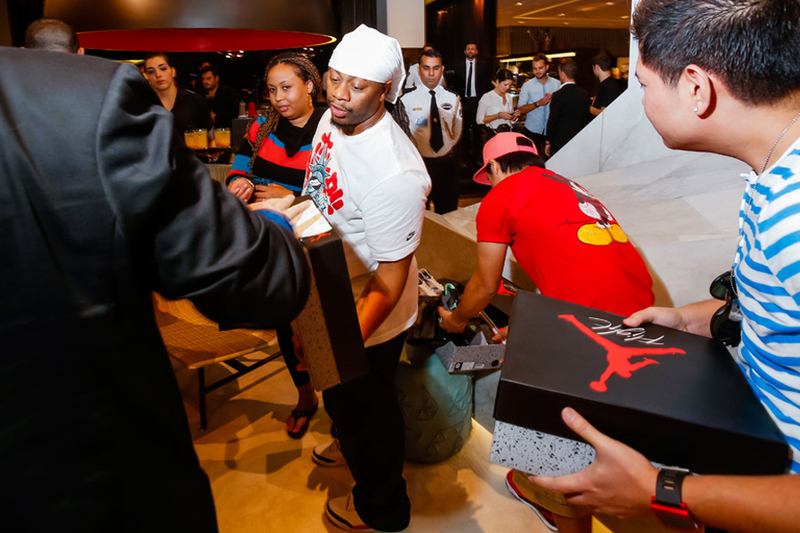 A dinner for the leading sneaker collectors in Dubai hosted at the Level Shoe District. Each collector got 5 invites to bring along their friends and fellow enthusiasts to the ‘Sneak Peek’ AW 2013 collection preview. 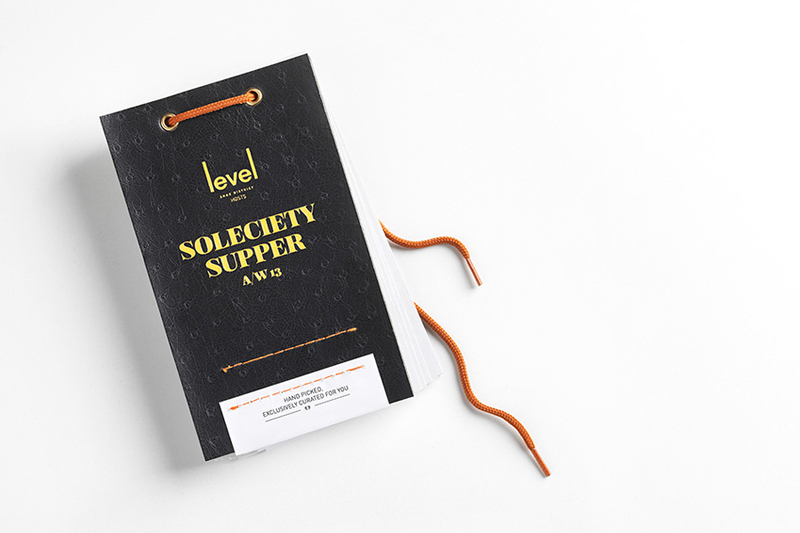 The Invite and social media campaign for the Soleciety supper designed by Moloobhoy & Brown, inspired by the AW 2013 footwear trends. 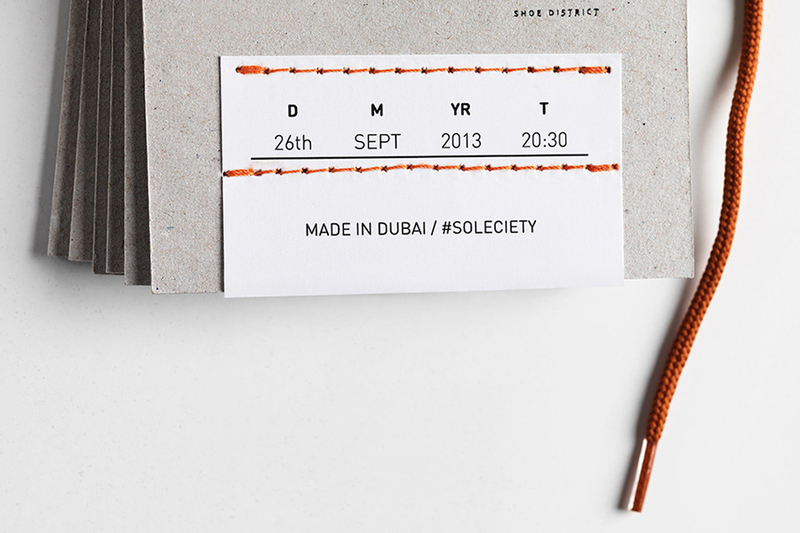 The invite utilised details from a sneaker – eyelets, a lace tie up, faux ostrich leather, stitching and a sizing chart label.